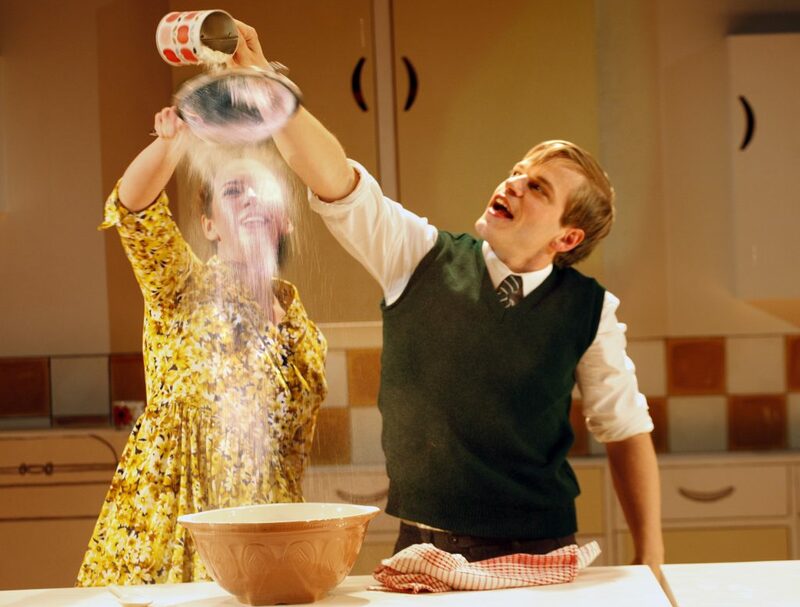 Lizzie Muncey & Giles Cooper in Nigel Slater’s Toast. Images Simon Annand. Is duck poultry or game? This is one of many questions troubling young Nigel Slater on his journey from nine-year-old, Wolverhampton jam-tart maker to one of the country’s top chefs. 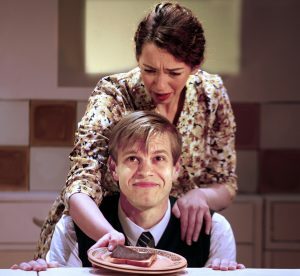 His memoir, Toast – the story of a boy’s hunger, has been adapted for a mouth-watering run at London’s The Other Palace. and it is a gastronomic beanfeast. 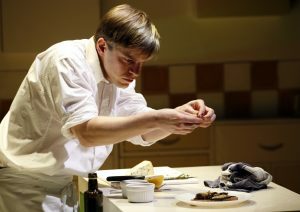 Nigel Slater’s Toast, not to be confused with Richard Bean’s 1999 stage comedy, Toast, is elegiac, emotional and evocative. It is also a paean to his youth – his first taste of exotic food (spag bol drowning in dried Parmesan that smelt of vomit), bucket and spade holidays to Bournemouth, Love Hearts, domestic science lessons and Walnut Whips. NS Toast, adapted by Henry Filloux-Bennett, puts young Slater centre stage to act as narrator, recalling his life from nine to 17. It takes the audience from his burgeoning interest in cooking, gleaned from helping out his beloved mother and reading Marguerite Patten’s Cookery In Colour, to landing a job in the kitchens of the Savoy. But being bribed with a bag of pic’n’mix does mean that this relaxed and enjoyable production plays to the continuous rustle of sweeties being unwrapped. Giles Cooper captures the innocence and naivety of a young Nigel in the first act while displaying the surliness and confusion of a trouble teen in the second. The production is a two-course affair. As entrée, we tuck into an easy-to-digest hour, laughing at Nigel’s idyllic childhood with his mother. 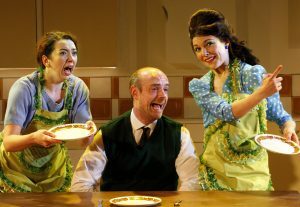 Nigel finds comfort making tarts, shopping with his increasingly sickly mum and playing with his best friend Worrell. His relationship with his stuffy, remote and disappointed father, is strained and awkward. The mains, post-interval, are a different kettle of fish. 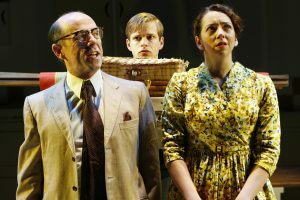 Nigel Slater’s Toast, at The Other Palace, is a nostalgic, elegiac & evocative play about growing up that satisfies all the senses. Joyous & heartbreaking.